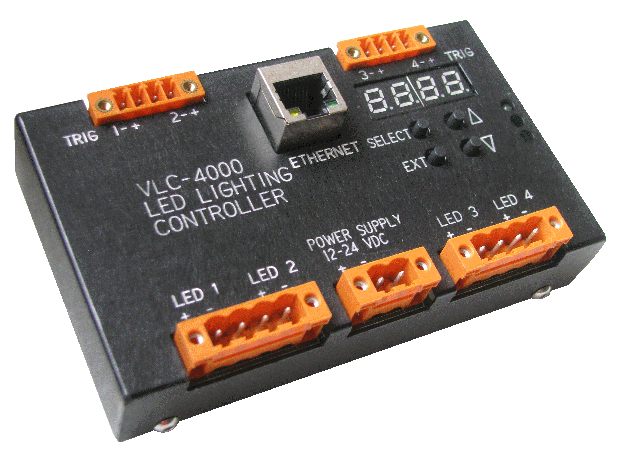 LED pulse light controller for machine vision camera inspection. This controller aid the camera with synchronise precisely timed strobe light to help the camera take sharp images for production inspection. 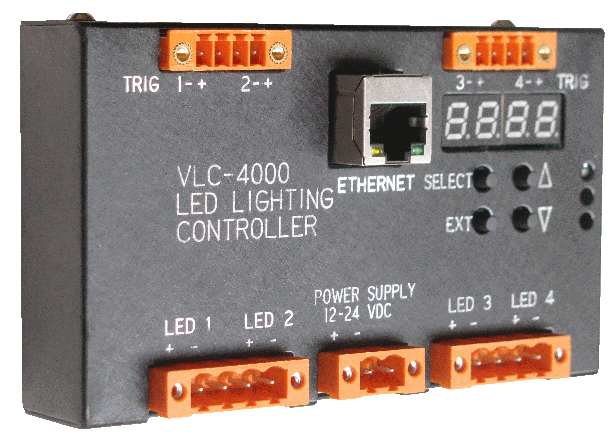 VLC-4000 is specially designed for the automated visual inspection industry. 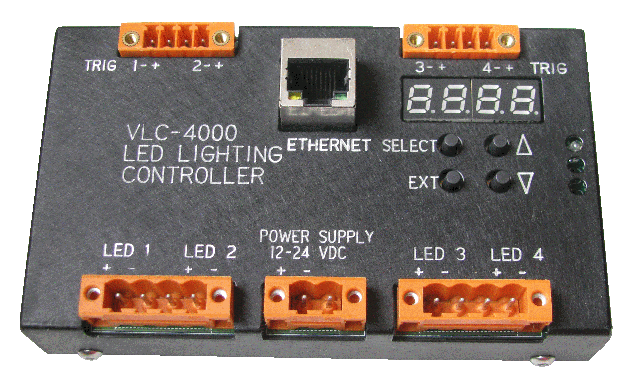 This pulse controller has 4 channel LED output. 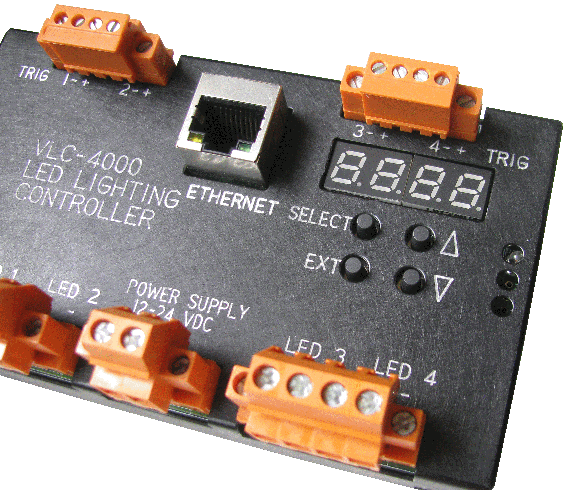 Each output can be configured in various mode of strobe lighting inspection operation. You can detect the controller in your intranet network through it self-discovery protocol. The pluggable connector helps simplify your onsite installation and maintenance. Panel interface can also be locked to prevent an unintended change of configuration. Configuration can be done through software or via the network using the built-in Webserver. 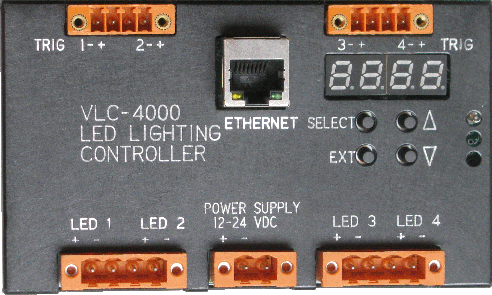 You can also send network command messages to control or configure the LED controller.